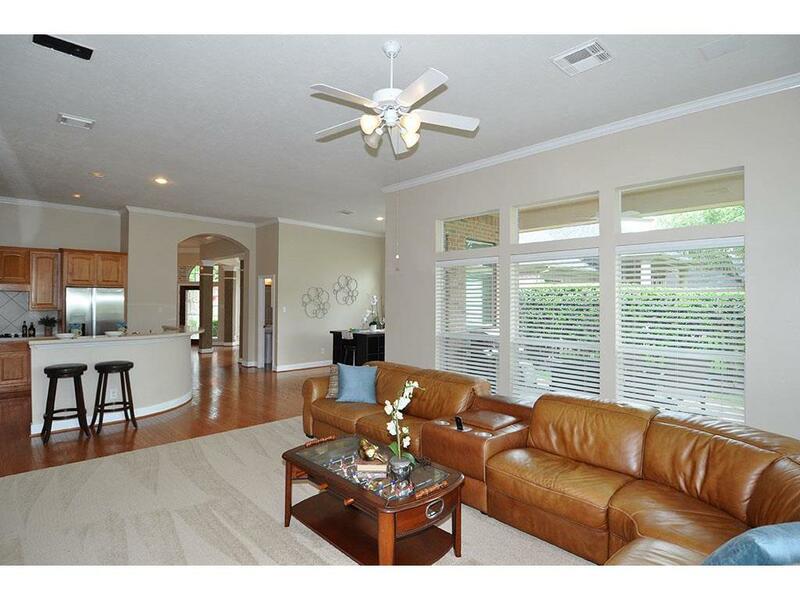 Welcome home to Chriesman Way in Sienna Plantation! 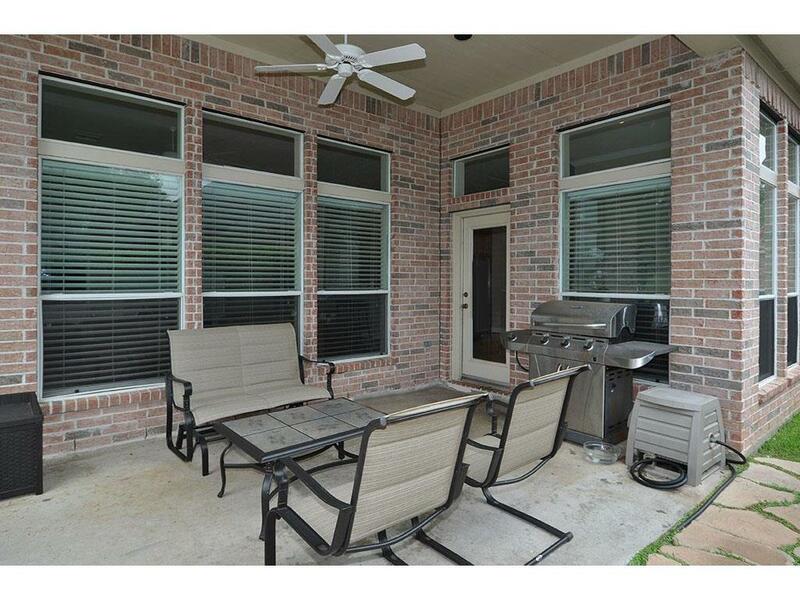 This beautiful patio home awaits you! 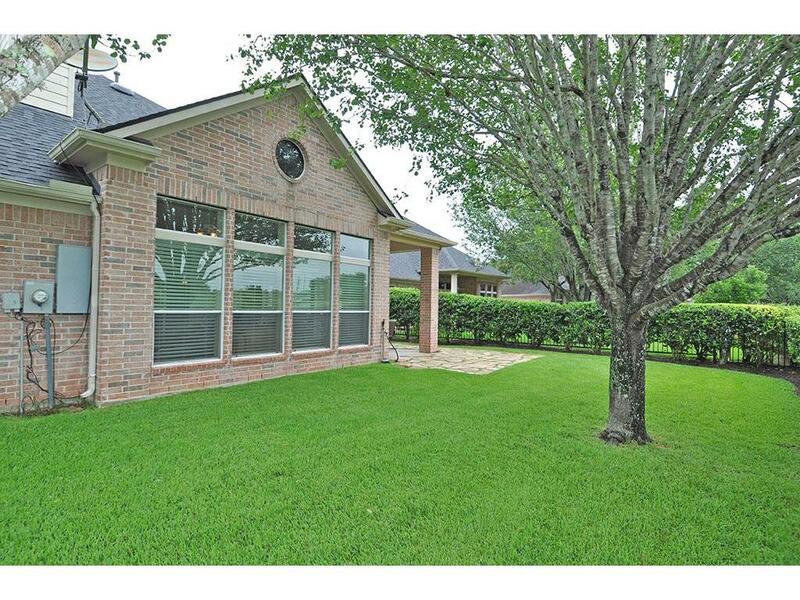 This beautiful patio home offers an exceptional location with golf course views! 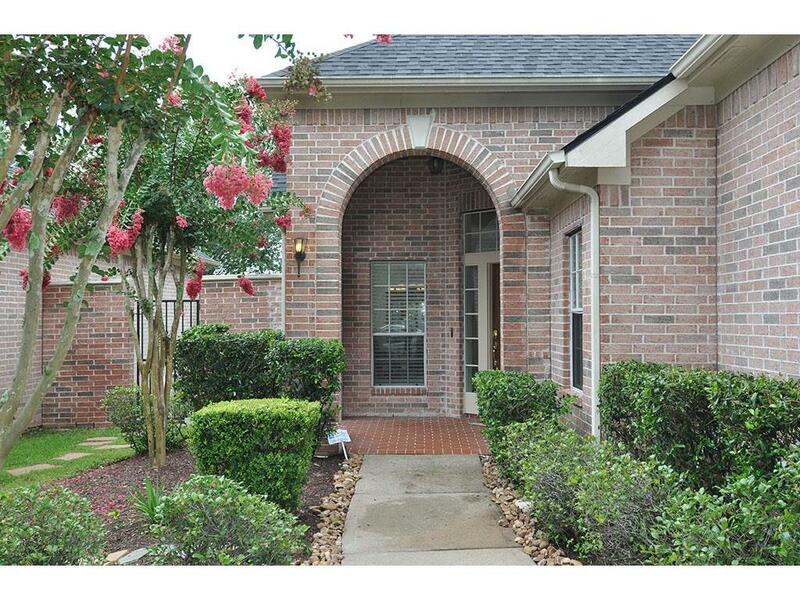 Excellent cul de sac location, attractive landscaping and within walking distance to neighborhood amenities! 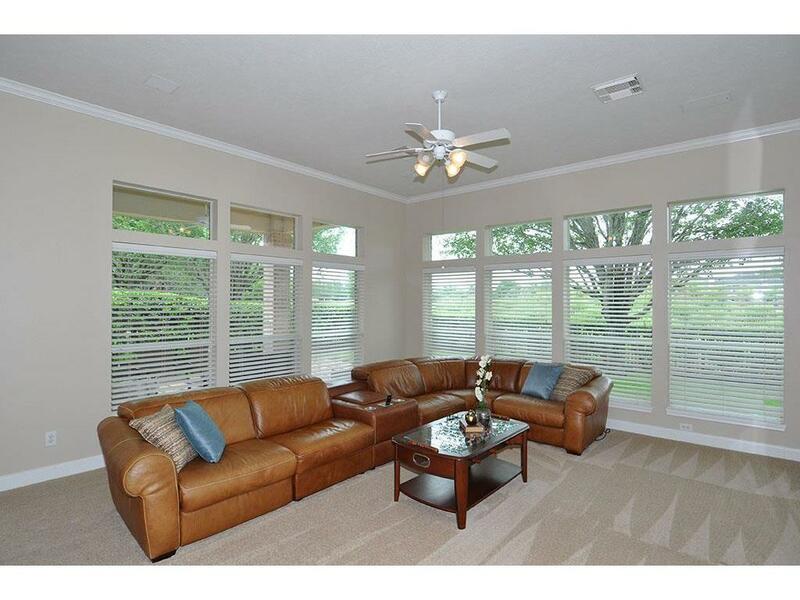 One of the many great features of this home are the windows throughout. 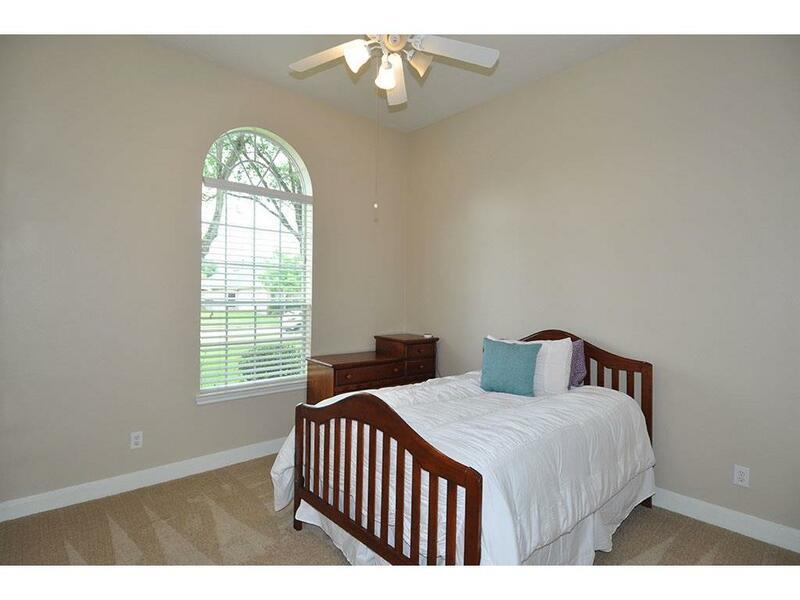 Desirable natural light! 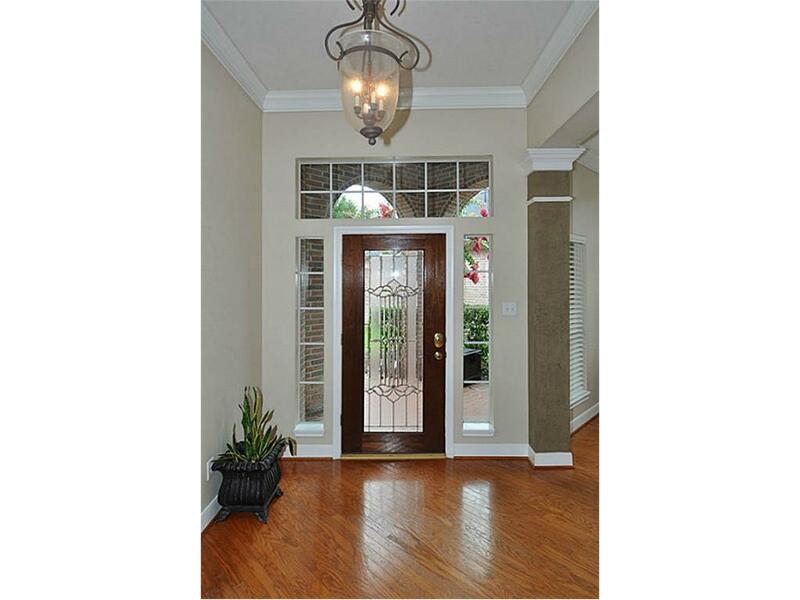 Elegant eaded glass front door is just one more of the attractive features in this home. 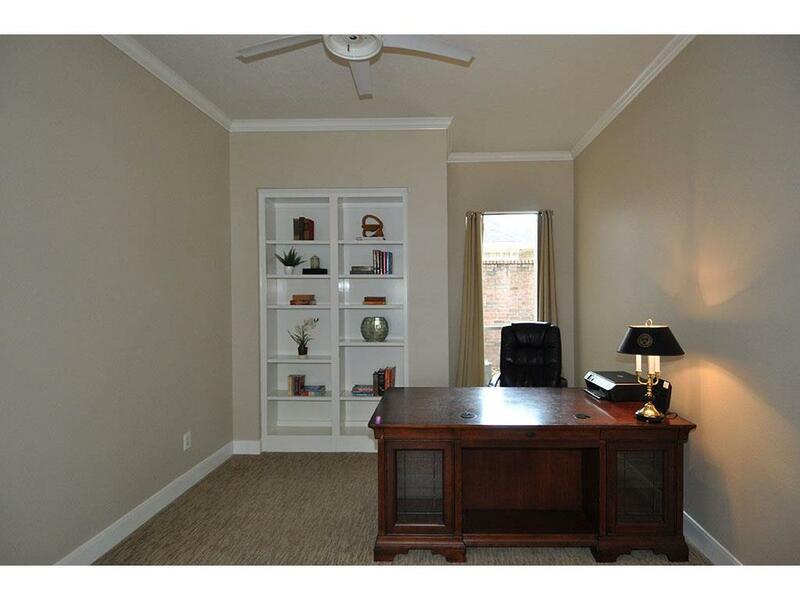 The study is located off of the main entry hallway. Crown molding and build in shelving are nice touches! 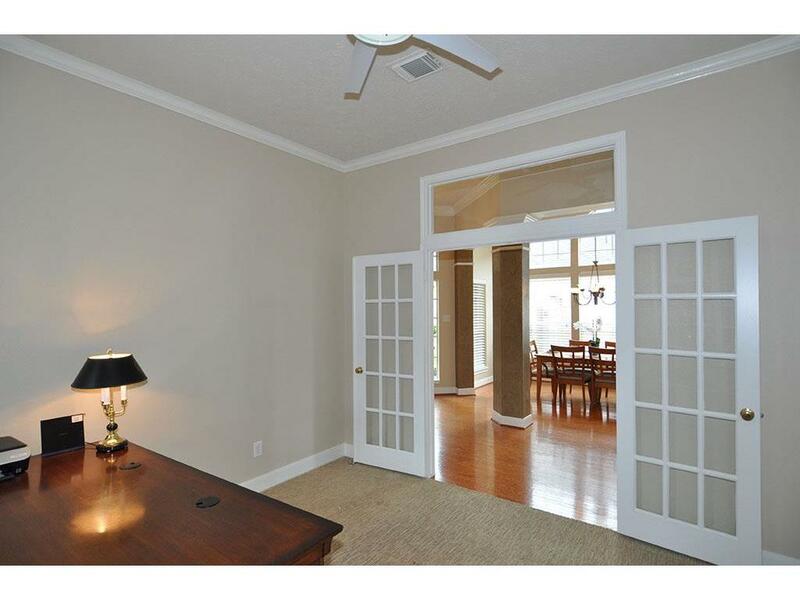 The French doors and transom overhead window are visually pleasing adding character to the interior. 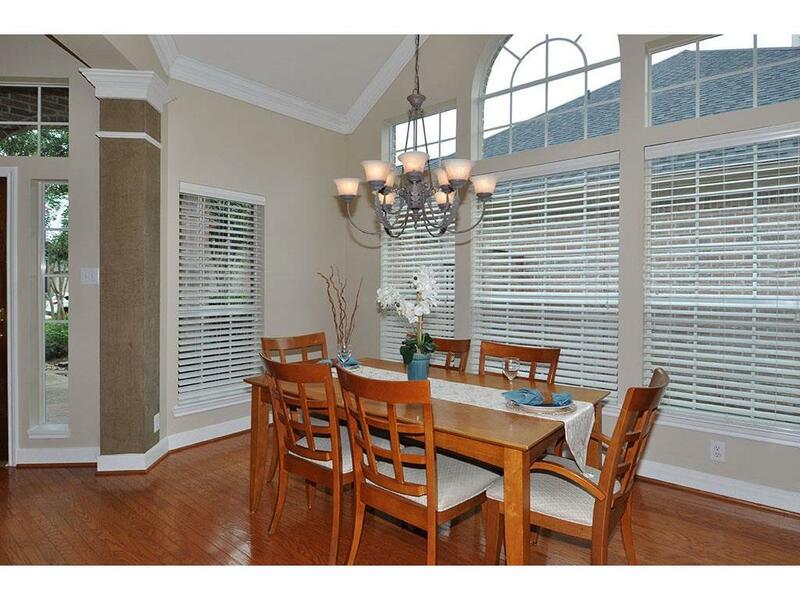 The formal dining is just inside the entry. 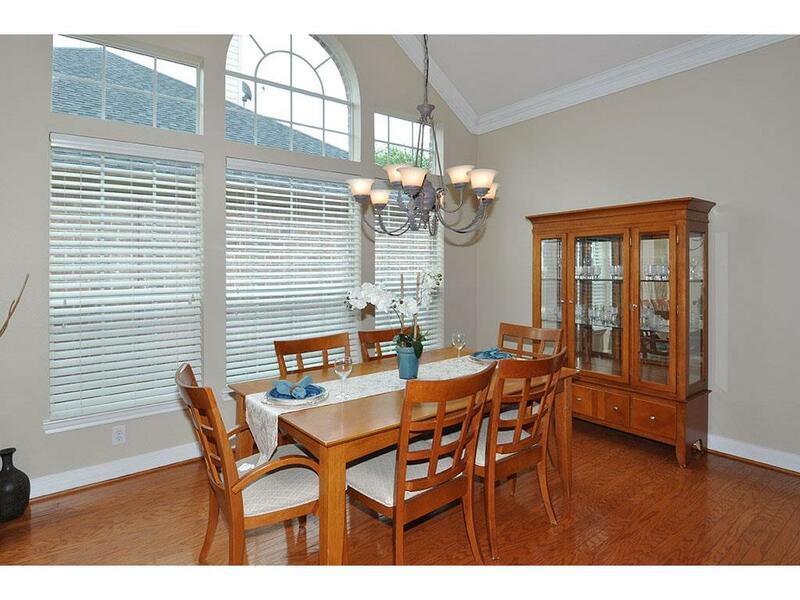 Notice the beautiful windows that bring in natural light and enhance the beauty of the room. Attractive blinds are throughout the house. 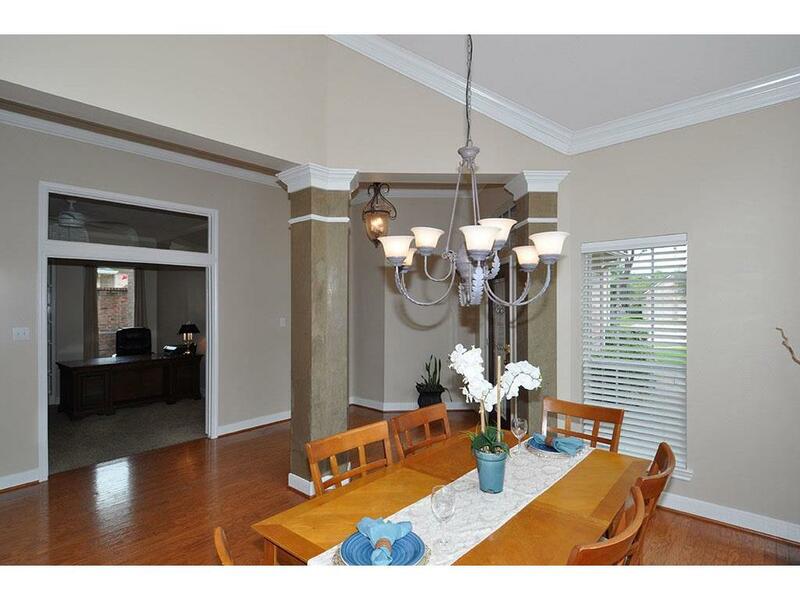 You ll also notice the nice feature of crown molding in various locations. From the moment one steps inside the house has an open feeling and natural flow from one space to the next. 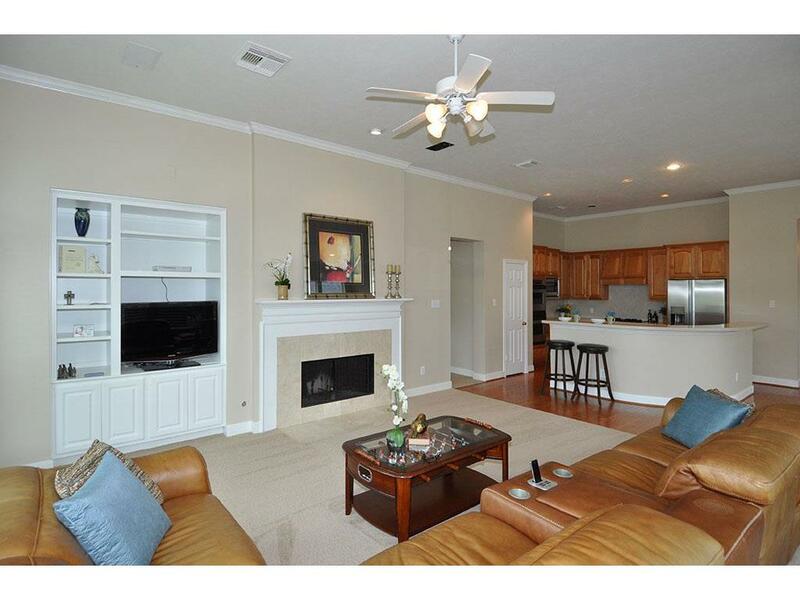 The living area is large and open with fantastic outdoor and golf course views. 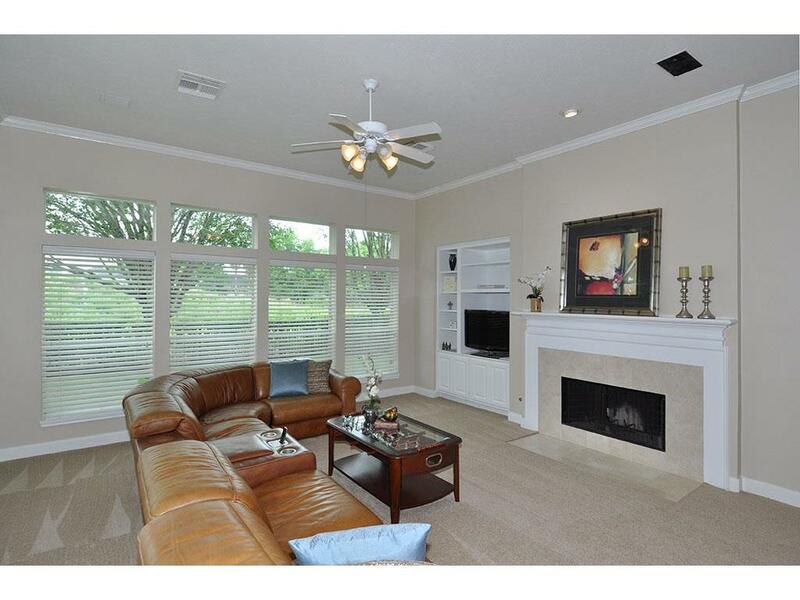 Built in cabinetry and a fireplace are focal points of interest in this large living area. 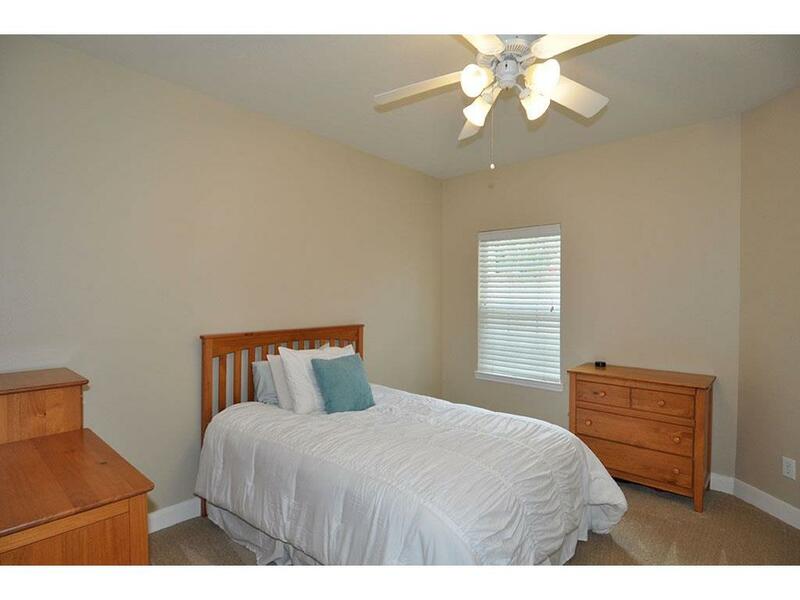 Recent interior paint and new carpet enhance the value and beauty of this three bedroom, two and a half bath home. 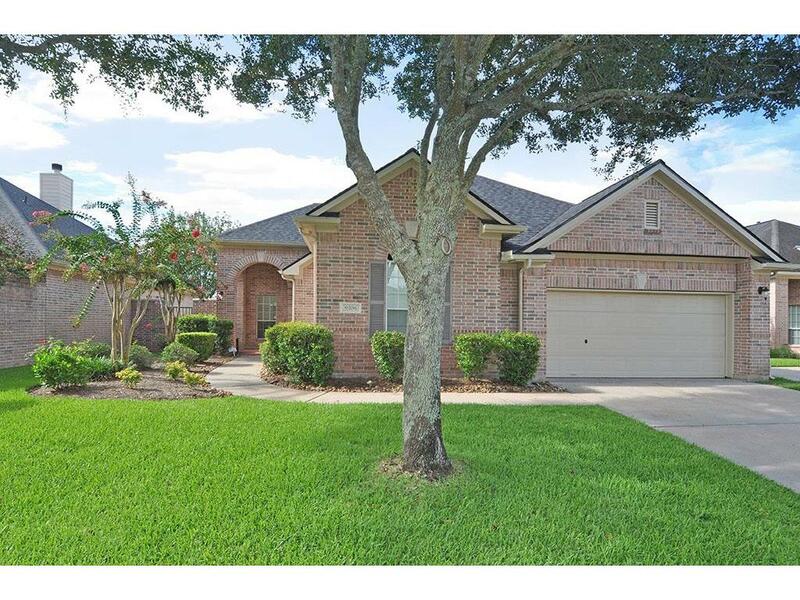 Pretty hardwood floors, new carpet, recent interior paint and the open floor plan come together to make this home an excellent choice! 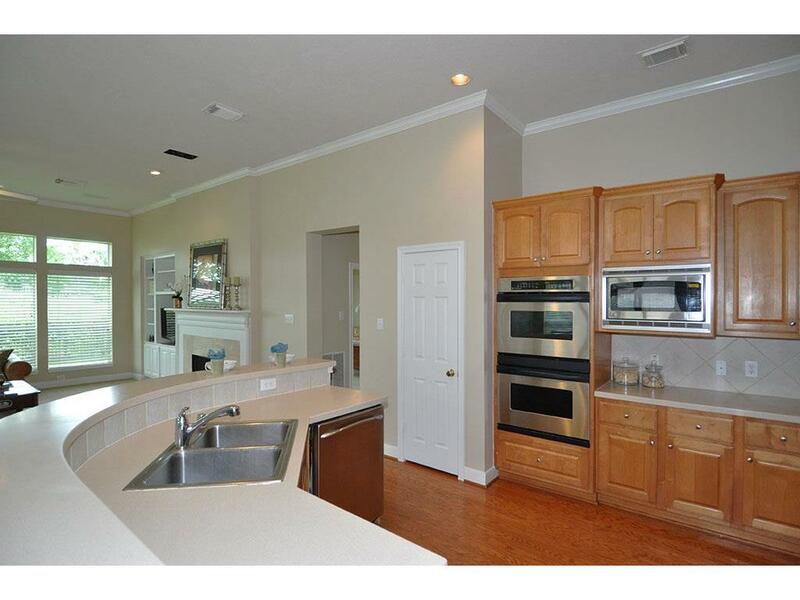 The kitchen is tucked away yet still quite accessible and a part of the open floor plan living space. Be sure and notice the recessed lighting. 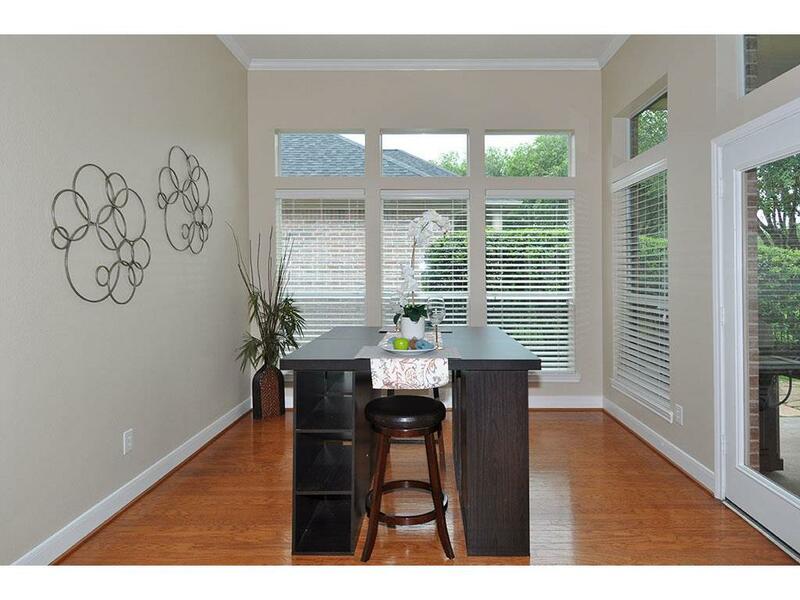 The breakfast room is excellent space with direct access to the covered patio. Stainless appliances compliment this open kitchen. 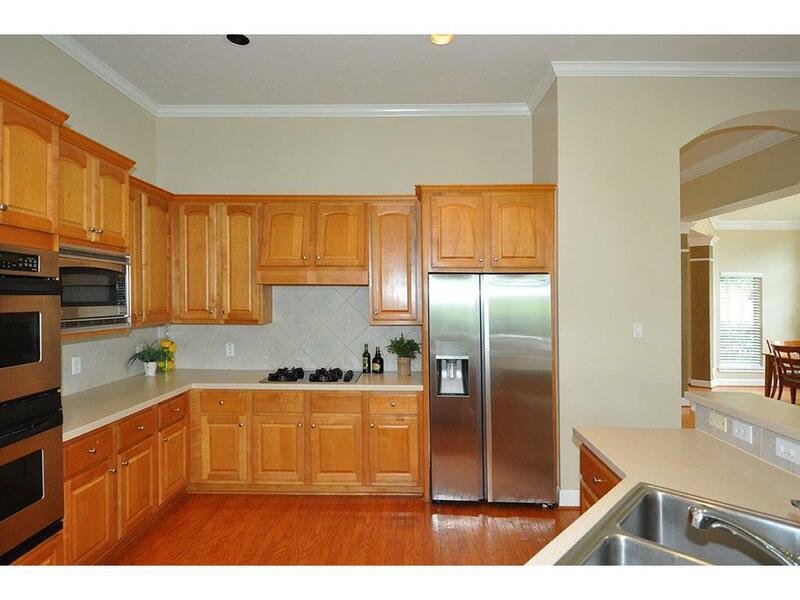 Excellent cabinet and counter space too! The hardwood floors carry over throughout the kitchen. This makes the space feeling larger and enhances the beauty of the home. There is plenty of bar space in this kitchen. 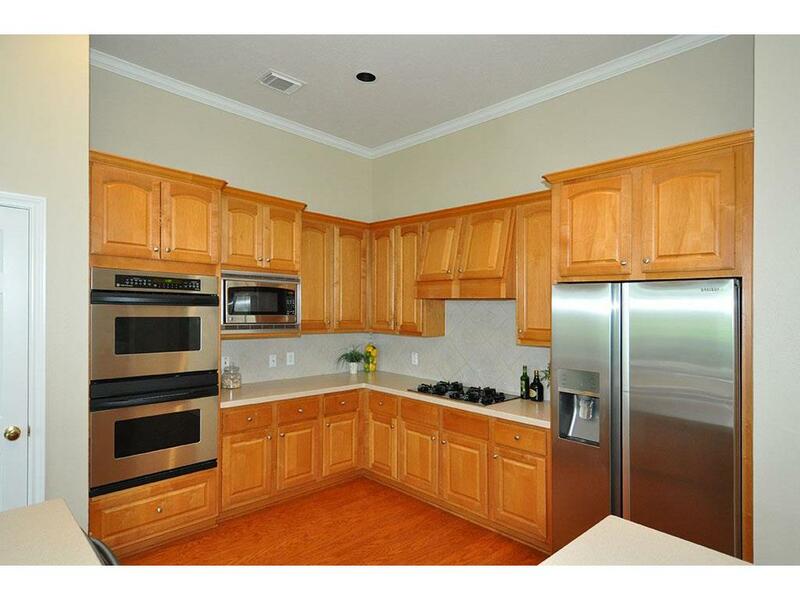 Good size pantry is conveniently located adjacent to the double ovens. 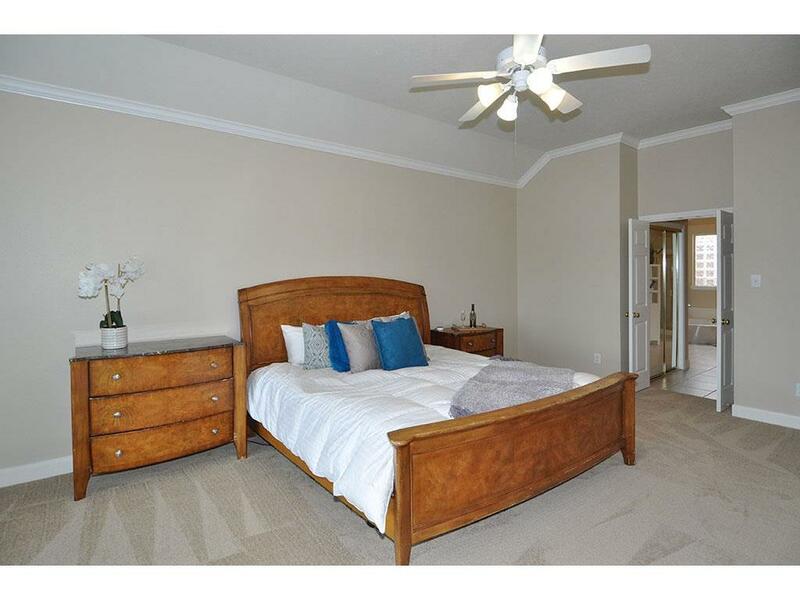 The master suite is spacious and has an elevated ceiling. 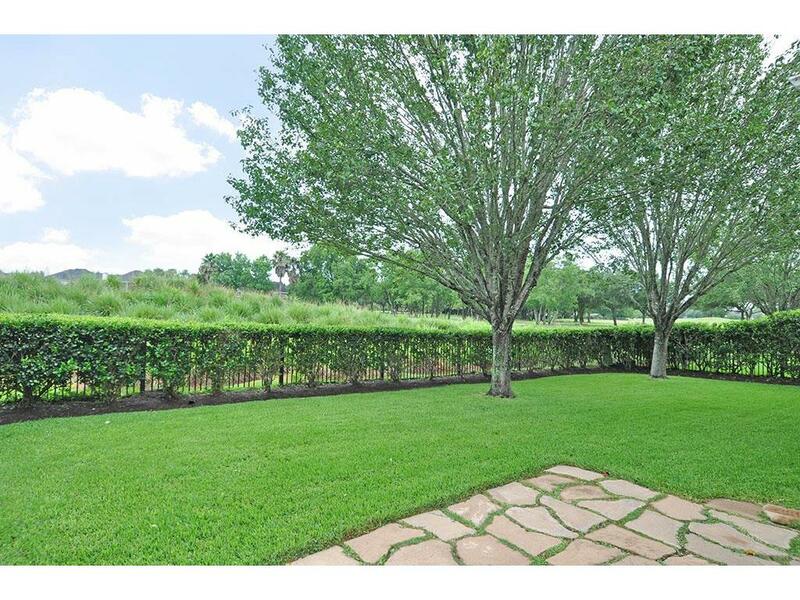 Abundant natural light and views of the golf course and green space! Once again notice the beautiful new carpet! 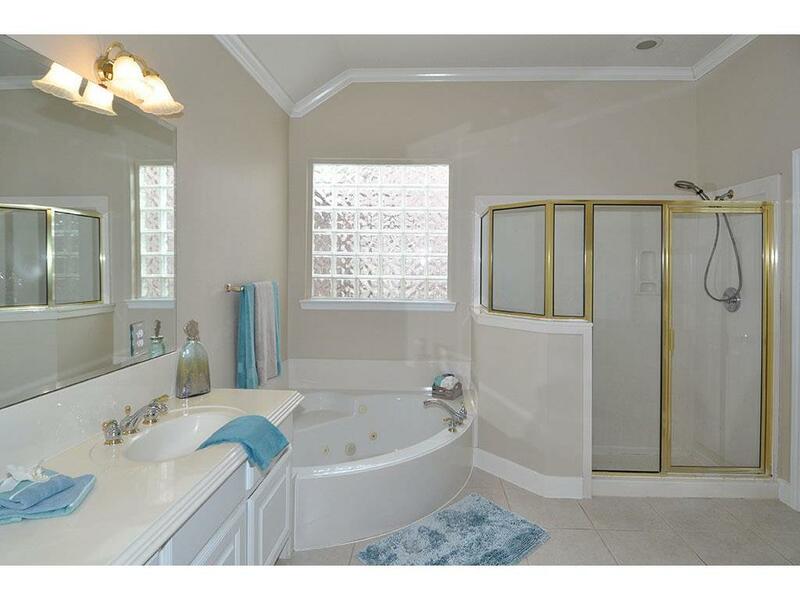 There is a double door entry into the master bathroom. 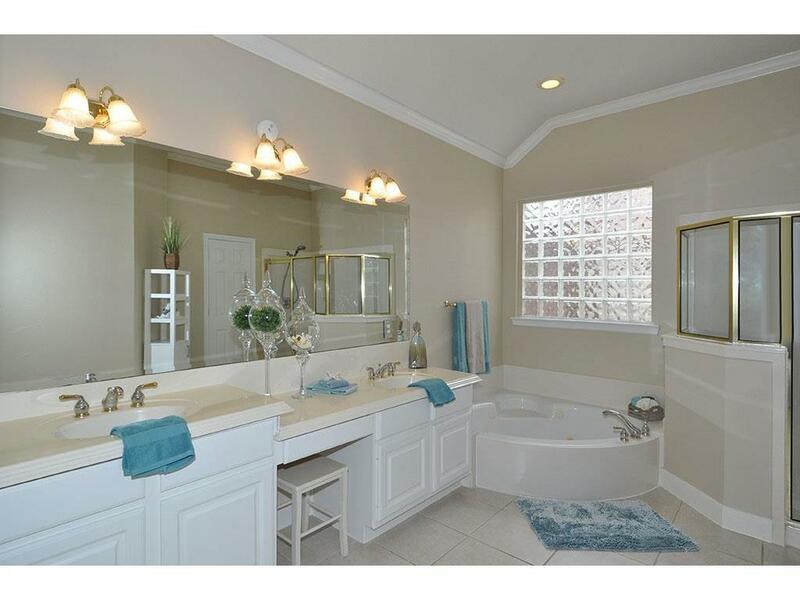 The master bathroom is large and offers a whirlpool tub, spacious walk in shower and double sinks. The glass block window offers privacy and natural light in the master bathroom. The secondary bedrooms are on the opposite of the house from the master. Fresh paint and new carpet! 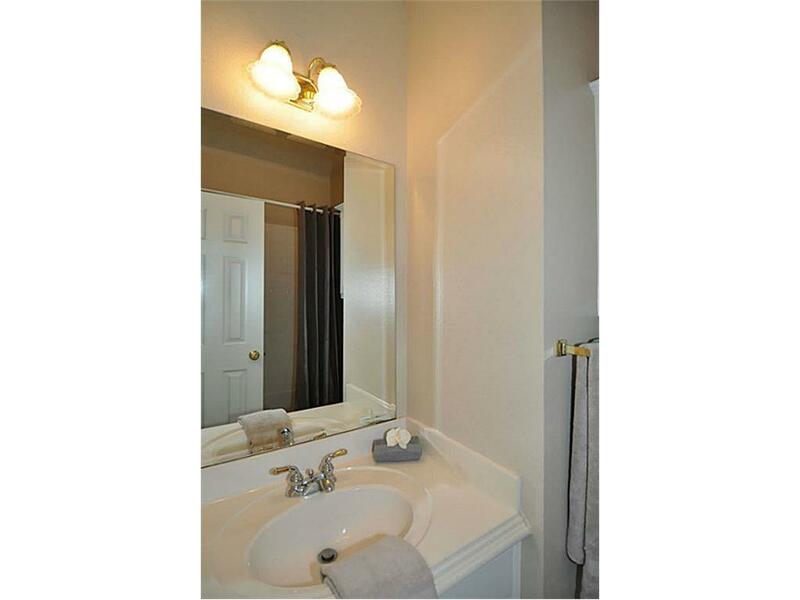 The hall bathroom is conveniently located by the second and third bedrooms. The secondary bedrooms have good closet space. 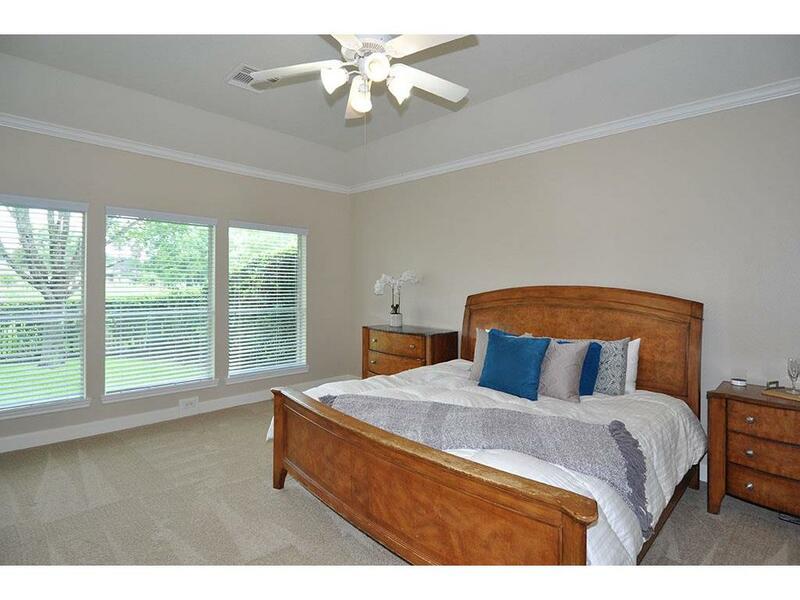 This bedroom overlooks the front yard. 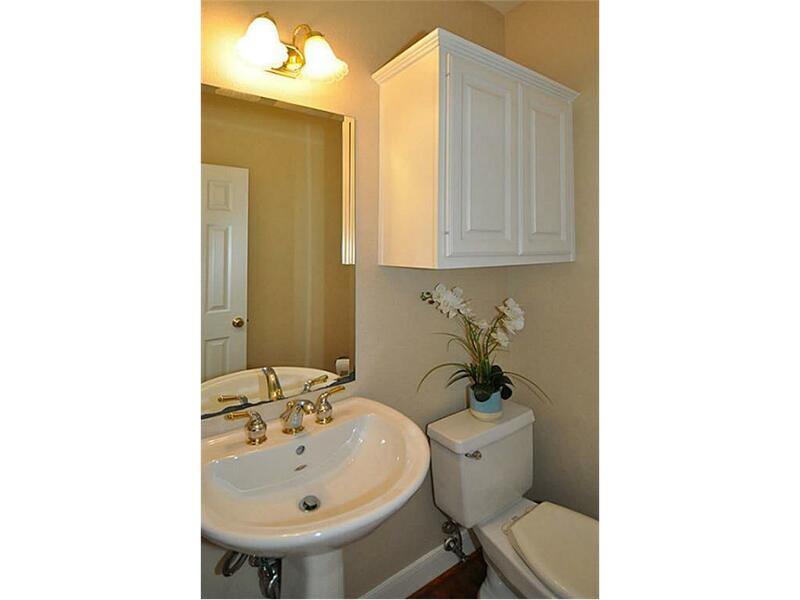 The powder room is conveniently located off of the main hallway in the house. 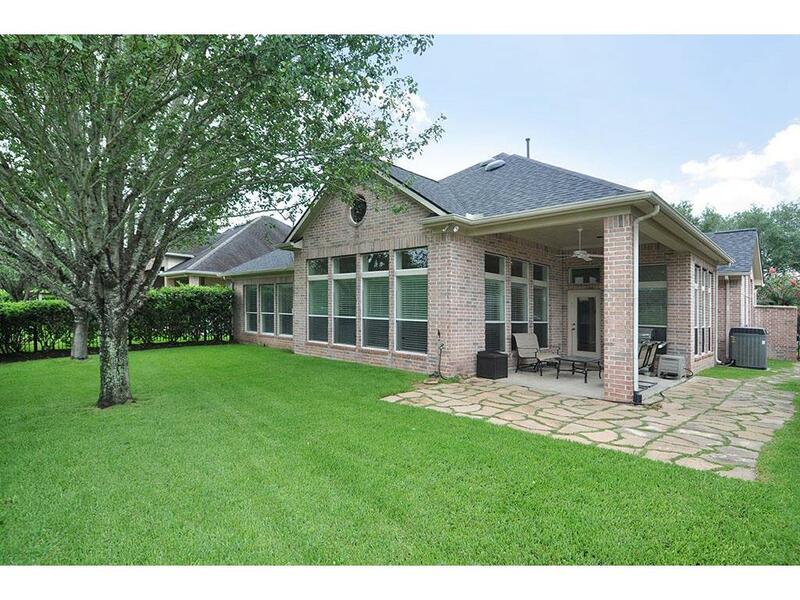 Enjoy outdoor living and entertaining on this covered patio. 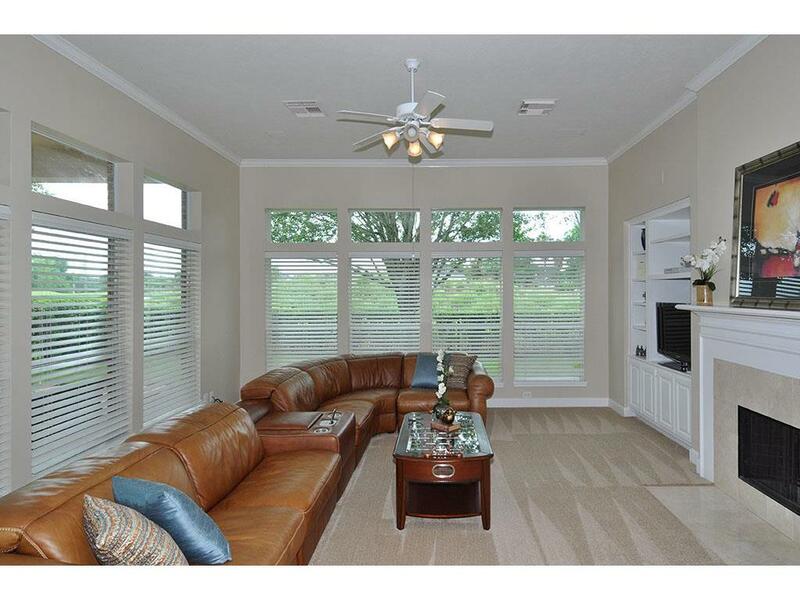 Great views of the golf course to enjoy as well. The paver stone patio is an extension of the covered porch. Such beautiful and peaceful views to enjoy! Be sure and notice that the house has brick on all four sides. 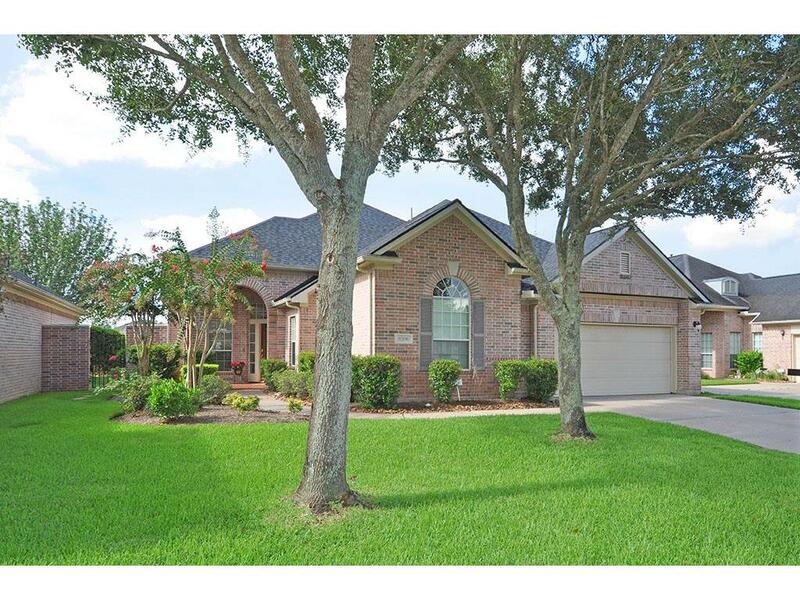 The home is well maintained and ready for new owners! 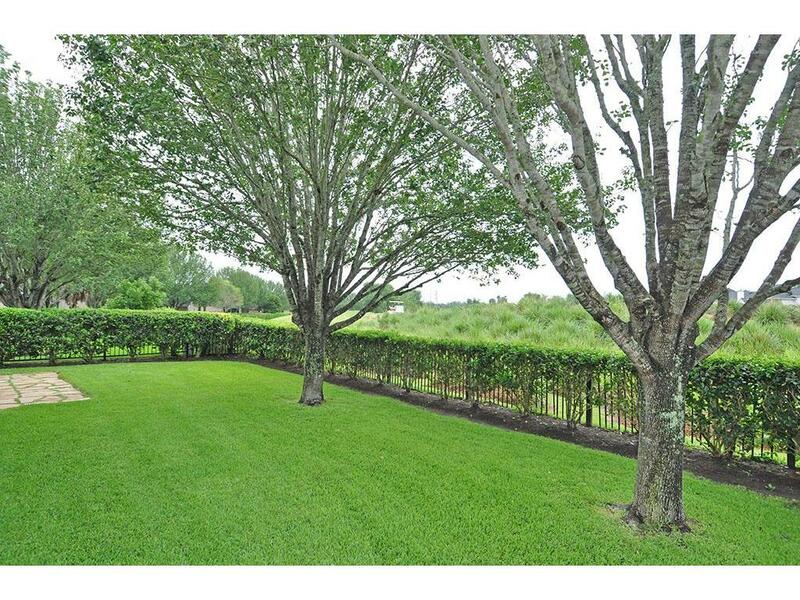 Sienna Plantation is known for quality living, excellent amenities, great schools and dynamic growth. It s a great place to call home! 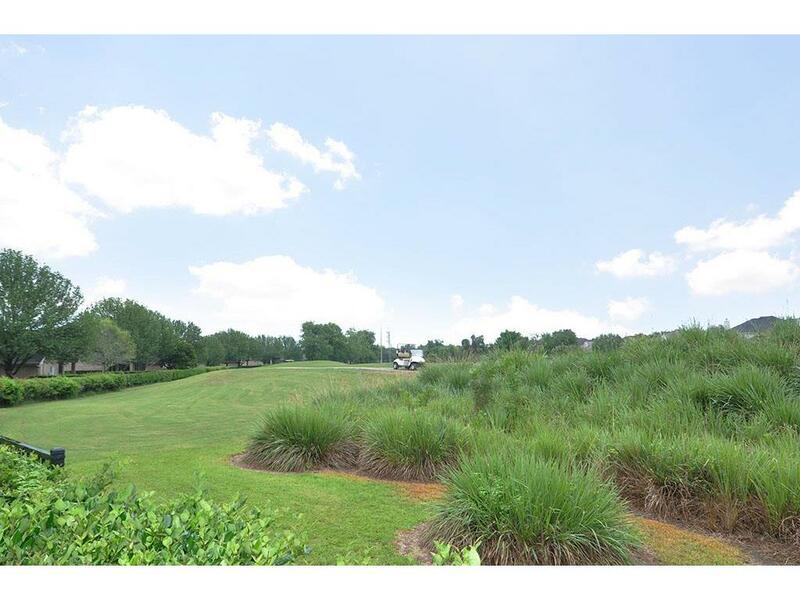 The Sienna golf course is a public course. Stop by the pro shop and check it out! Here is a view over the back fence. Open spaces and beautiful vegetation.